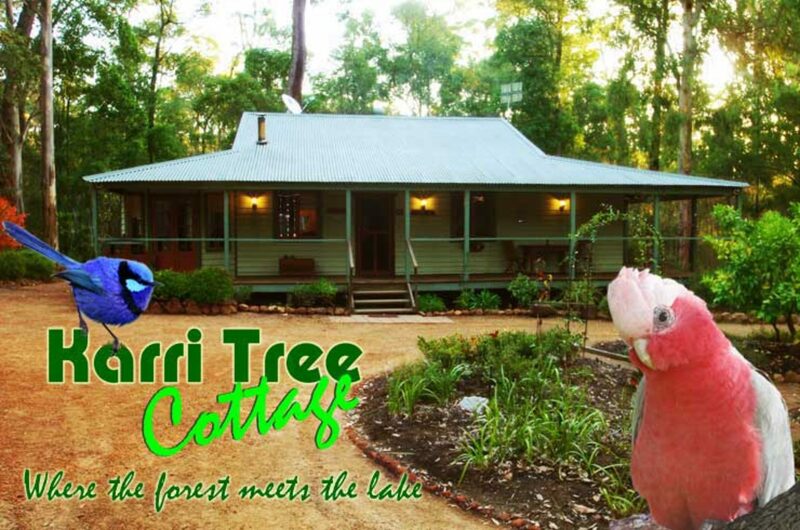 Karri Tree Cottage is a spacious country home with all the quality amenities you would expect to find anywhere. Modern appliances and spacious rooms in a wonderful bushland setting really set this holiday home away from home apart from the rest. Outdoors is simply stunning with a myriad of native birds and animals that will simply delight. Just great for the kids (and the not so young) to play in or just to simply sit a while, soak up the ambience of this special place and relax, relax and relax some more. Karri Tree Cottage is located in peaceful Quinninup, just 20 minutes from Manjimup and Pemberton and 1 Hour from Walpole. 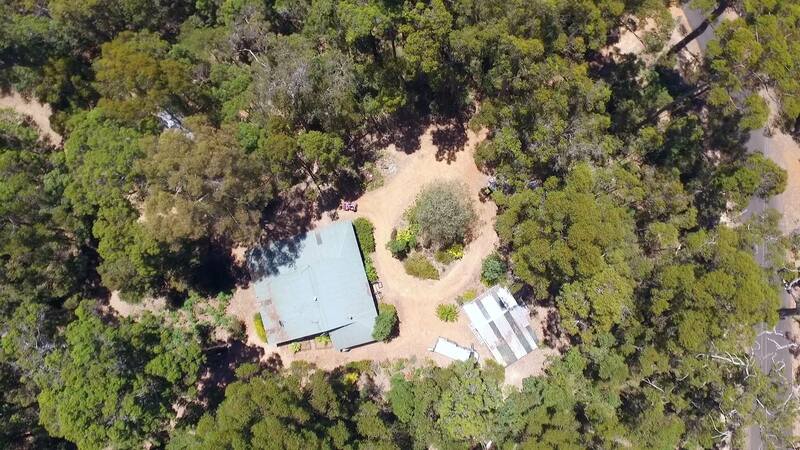 This comfy family home is located beside a stunning old growth native forest and adjacent to beautiful Karri Lake. The Cottage is a large open plan 2 Bedroom home with a lounge containing a solid fuel wood heater, a well appointed kitchen plus separate laundry & bathroom. Karri Tree Cottage has a unique and rustic charm and is sure to please those who appreciate a laid back country life, Relax on the veranda by day and in front of the log fire by night, perfect for families and friends or a romantic hideaway retreat.